Stage 2&###xA0;Clutch Kit: Premium Performance&##xA0. This Grip Racing kit features a&###xA0;Hi-Rev pressure plate for increased power capacity. &###xA0;Grip Racing Hi-Rev pressure plates use time-tested diaphragm design to increase the clamp load, while reducing&###xA0;deflection in order to&###xA0;maximize clutch life. All diaphragms endure our exclusive&###xA0;four-stage, heat-treating process for unparalleled clutch performance. Grip Racing pressure plates have CAD engineered cover stampings to provide rigidity and consistency for the driver. Grip Racing Carbon Kevlar dual-material disc features a spring-center construction to dampen torsional vibrations and resist failure under extreme conditions. Grip Racing spring retainers utilize wraparound spring windows and large retainer stampings to provide spring rigidity, reduce stress concentrations, and increase strength and reliability. With the Carbon Kevlar dual-material disc, engagement is secure giving the drive peace of mind the clutch will hold. &###xA0;Shifting is faster with Carbon Kevlar dual-material disc. All clutch covers are 100% clamp load tested and dynamically computer balanced for smooth high RPM operation and reliability. Feel: Light to Moderate pedal effort, secure engagement. Life:&###xA0; Extended friction life made possible&###xA0;by Grip Racing exclusive diaphragm design. Quality:&###xA0; CAD engineered, precisely assembled, computer balanced, uses the best quality ceramic friction materials for extreme heat tolerance and superior performance. Recommended Use:&###xA0; Recommended for street or daily use. Recommended break-in period: &###xA0;1000 mile. &###xA0;Spline Size and Count. Photo May Vary By Actual Product. Grip Racing is a Street friendly flywheel, which is considerably lighter than stock and is the most durable flywheel. Materials are properly distributed for maximum strength, lower inertia, good heat tolerance and durability. Grip Racing flywheels are recommended for street or drag racing. Feel: &###xA0;Noticeably improved engine response and acceleration, OE to mild gear rattle. Life: &###xA0;Heat-treated forging for strength and toughness, induction-hardened ring gears for maximum life. Quality:&###xA0; One piece construction allows less opportunity for failure and provides uniform efficient heat transfer from the clutch disc. No more warped inserts or loose ring gears. Recommended Use: &###xA0;Recommended for street and race use. Benefits:&###xA0; Forged, CNC machined and dynamically computer balanced for smooth high RPM reliability. 2000 - 2003 Honda S2000 Base Convertible 2-Door (2.0L 4cyl DOHC; F20C1). 2004 - 2009 Honda S2000 Base Convertible 2-Door (2.2L 4cyl DOHC; F22C1). 2008 - 2009 Honda S2000 CR Convertible 2-Door (2.2L 4cyl DOHC; F22C1). &###x200B;&###x200B;&###x200B;&###x200B;&###x200B;&###x200B;&###x200B;&###x200B;&###x200B;&###x200B;&###x200B;&###x200B;&##x200B. Any product you return must be in new condition and in the original packaging. If you are 100% satisfied with you order, please rate us 5 stars. Thank you for supporting our family owned business. If for any reason you are dissatisfied with your order please get in contact with us before us leaving feedback and we will do whatever we can to help. &###x200B;&###x200B;&###x200B;&###x200B;&###x200B;&###x200B;&##x200B. If for some reason you think your clutch is defective please tell us why you think the item is defective and provide photos showing the parts. &###xA0;We do not replace any items that are used, burned, or contaminated with oil/grease. To be eligible for a return, your item must be new and unused. It must also be in the original packaging. &###xA0;Any item not in its original condition, is damaged or missing parts for reasons not due to our error. If you are denied you will have the item sent back to you with photos and reasons on why you were denied. &###xA0;Next contact your bank. Please be sure to send us a message if you have any questions regarding your order, a custom built clutch, or wholesale. &###xA0;If you are interested in become a distributor be sure to send us a message with your shop name and also the different types of clutches you will need. We are more than happy to supply you with genuine quality. We supply most Makes and Models from OE-Racing Clutches/Flywheels. Want to start your own brand? Want to become your own Boss? We private labels dozens of companies all over the world. We use high grade steels made in U. We never degrade the quality when we private label. Send us a message to start your dream! 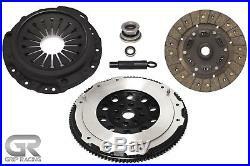 &###xA0;Need a custom clutch to handle high HP/TQ? Please be sure to send us a message with the TQ ratings, model/make/year/liter/engine code, and the disc of racing you will be doing. We decided to take OE+Racing Clutches and Flywheels into many online platforms to deliver quality built clutches. Each and every clutch is tested and will never leave our shop without being tested for proper release, well pressed rivets, and a nice coat of premium paint. We do not just simply import a batch of products and sell them without knowing how they perform. We are the next generation of premium clutch specialists. This is not just a business, but also a life style. We, ourselves, are car enthuasists; we know how much time you take to build your car. The GR team wants the best parts for you build. Consider us in your next clutch swap, we guarantee the best of the best. Follow our work, our lifestyle, and our innovations. &###xA0;Our mission is deliver quality built products that are free from problems. &###xA0;It is our mission to provide personal vehicle owners and enthusiasts with the vehicle related products and knowledge that fulfill their wants and needs at the right price. Our friendly, knowledgeable and professional team will help inspire, educate and problem-solve for our customers. Its not just a business, its a lifestyle. We are the new generation. We will truly try our best to fix any issues. This kit is is proven to hold up perfectly in any stock or moderate built vehicle. Grip Racing kit contains the highest steel grades and manufactured by engineers who have over 40 years in experience. Our stage 2 set contains a heavy duty pressure plate, Carbon-Kevlar clutch disc, release bearing, alignment tool, pilot bearing. Our Carbo-Kevlar disc has great holding power when paired with our Heavy Duty pressure plates. This kit gives you the best performance on the street and on the track. Grip Racing disc features Carbon-Kevlar material to increase holding capacity and high-heat tolerance. It has a steelback strip for higher burst strength. We turned the center of the disc into a sprung hub style to offer an ease of engagement and absorb many of the driveline vibrations. The pressure plates are designed and manufactured as performance units instead of stock pressure plates being modified like most clutch brands do. With precise measurements a special modification is added inside the pressure plate to increase clamp load and give you a moderate pedal feel for a comfortable driving style. Not only do we increase the clamp load, but we also add thicker drive straps and thicker rivets for strength and durability. Last but not least, the most important modification is our friction plate, we use ductile iron instead of regular cast iron to avoid any cracks/breaks on the friction plate when the clutch heats up. These important details make us who we are. Our quality will speak for itself. In the end, all we want is to deliver a responsive set up for your important build. This clutch set up is perfect for street use. 200 mile break-in and professional installation recommended. Our genuine&###xA0;GRIP&###xA0;RACING&###xA0;clutch kit includes:Heavy Duty Pressure Plate&###xA0;Carbon-Kevlar Clutch Disc (212mm, 24 spline)Premium Release BearingPilot BearingAlignment Tool10.5LBS Lightened Racing FlywheelCarbon-Kevlar Clutch DiscOur Carbon-Kevlar sprung disc offers a really nice fine engagement when using a HD clutch cover combined. &###xA0;Our Carbon-Kevlar, spring-centered race disc features a spring-center construction to properly damp torsional vibrations and resist failure under harsh conditions. GRIP spring retainers utilize wrap around spring windows and thicker retainer stampings to provide spring support, reduce stress concentrations, and increase strength and reliability. With the Carbon-Kevlar, spring-centered race disc engagement is smooth but grippy, and the shifting is quicker. The Carbon-Kevlar, spring-centered disc is recommended for any car application. The disc can absorb three times more amount of heat then a regular OEM disc. Also, proven to last three times longer than OEM disc due to the great amount of heat it can absorb. 500 mile&###xA0;break-in is mandatory to&###xA0;receive the best results. Engagement:Smooth OE EngagementClutch disc hub is made of chrome-moly and heat treated for strength and durabilityNO CLUTCH CHATTER, SMOOTH ENGAGEMENT IN ALL GEARSIncreased torque capacity and spline lifeQuiet operation, reduced driveline shockClutch Discs:&###xA0;With years of expertise our engineers design, develop, test and manufacture distinctive friction and steel materials. We manufacture outstanding friction and steel materials with remarkable friction and wear characteristics that will help engage the clutch smoothly. &###xA0;The disc spring is the center section of a clutch disc in which we add stronger springs with a semi-closed retainer to prevent any springs from popping out and destroying another important part in your engine. Our spring-type disc are used worldwide to put an end to all engine and driveline noise by absorbing vibrations. This provides you a comfortable driving style. &###xA0;LIGHTENED RACING FLYWHEELS4140 Chromoly-SteelOne-piece unit to handle extreme abuse. GRIP RACING Flywheels are CAD designed and manufactured from a solid one piece billet chromoly steel forgings. They are designed to reduce weight and inertia for great engine response. &###xA0;Our Chromoly-Steel flywheels have a combination of low weight and high heat capacity which is specifically designed for any types of street or track racing such as Drift, Drag, Rally, Time Attack, and more. The reduced weight and inertia gives you a snappier throttle response and quicker shifting as mentioned before. These types of flywheels are designed to increase major airflow which helps cool down the entire clutch. It has been tested up to 18,000 rpm without failure. &###xA0;GRIP Flywheels are designed and tested to ensure the safety and quality of every flywheel. Years of R&D has given us the knowledge and firsthand experience to choose wisely the best material to manufacture flywheels that will surpass your expectations. All of GRIP flywheels are made from 4140CHROMOLY-STEEL. GRIP Flywheels are SFI Certified meeting performance standards for the automotive and motorsport industry. &###xA0;Benefits of a GRIP RACING 10.5LBS Light Weight flywheel:Light-weight for improved for better performance and Quicker Rev&###xE2;&###x80;&###x99;s. (Aluminum&###xA0;Flywheels) Consist of a replaceable heat shield (friction surface), eliminating need to resurface flywheel. Reduces major turbo &###xE2;&###x80;&###x9C;lag&###xE2;&###x80;&###x9D; in turbo-charged engines. Increased supercharger efficiency due to less drag on the crank. Professionally CNC machined and balanced. Better AirFlow&###xA0;means lesser chance of burning the clutchCAD designedSFI Certified. The item "GRIP RACING STAGE 2 CLUTCH & PRO-LITE FLYWHEEL KIT HONDA S2000 ALL MODEL" is in sale since Monday, March 21, 2016. This item is in the category "eBay Motors\Parts & Accessories\Car & Truck Parts\Transmission & Drivetrain\Clutches & Parts".